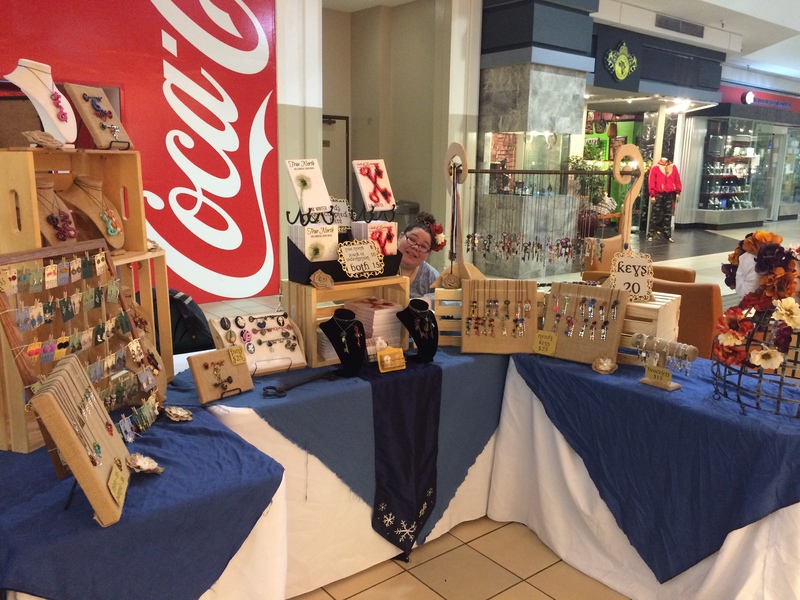 Back from our Holiday break and at the Federal Way Commons Mall! Stop by and see us, today and tomorrow, from 10a-6p. We are stationed right in front of Bath and Body Works! S.M. Winter is on site selling and signing novels. Aspiring Artist Aimee is here showing off her amazing new line of jewelry. Brand new bracelets, pins, brooches and of course, key necklace designs!